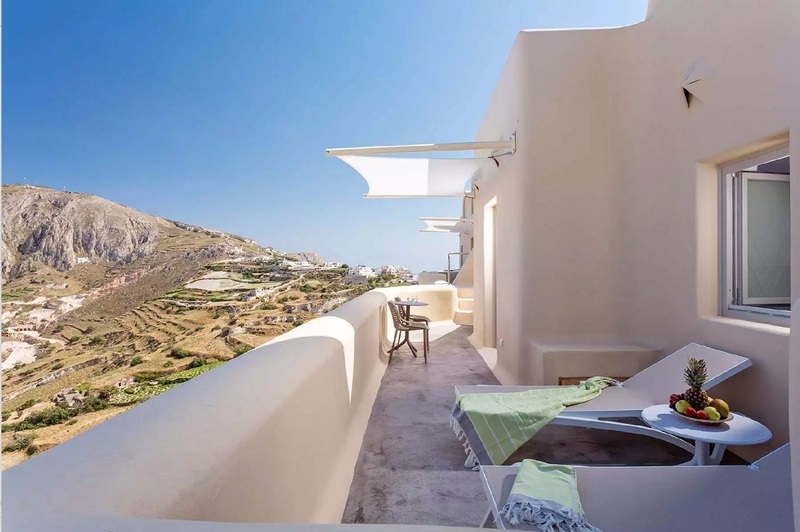 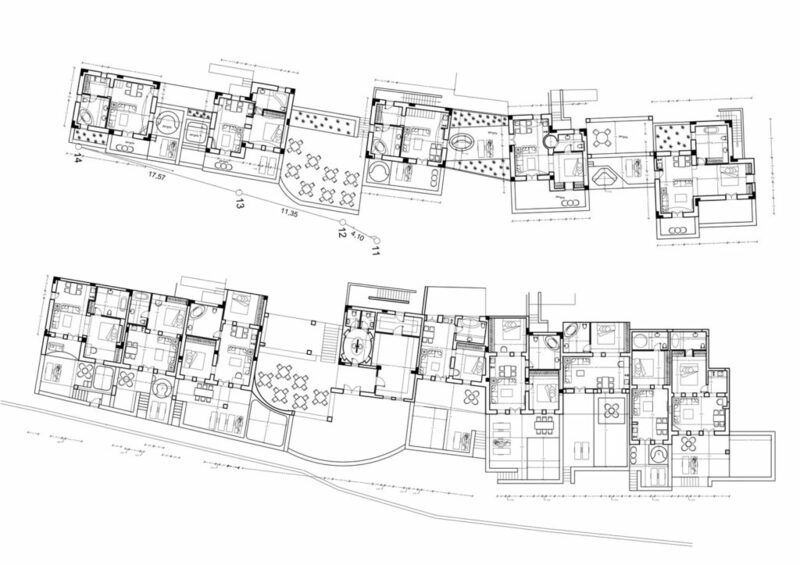 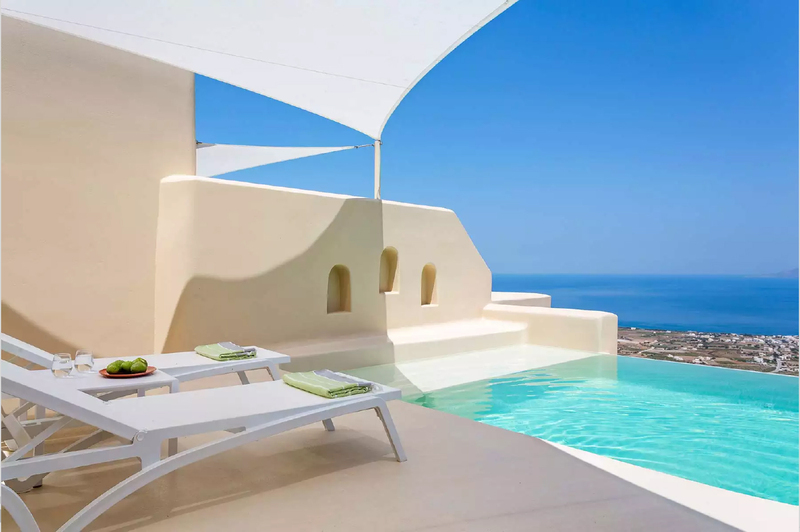 The Skyfall Suites, perched on the cliff of the hill in a prime location in the center of the island with magnificent views of the surrounding Aegean Archipelago, fully justifies its name as appears to “fall” from the sky. 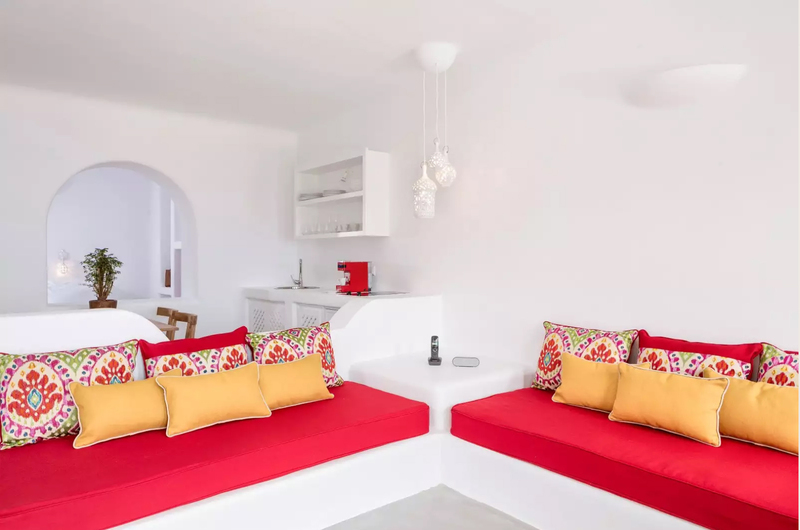 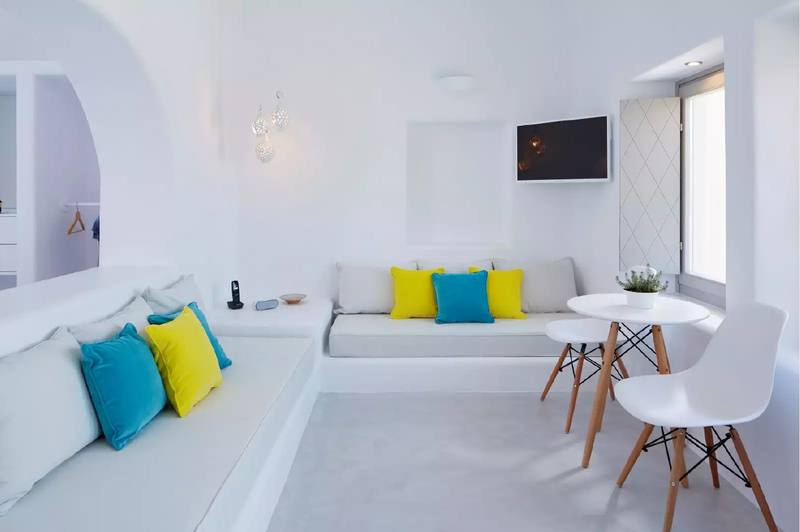 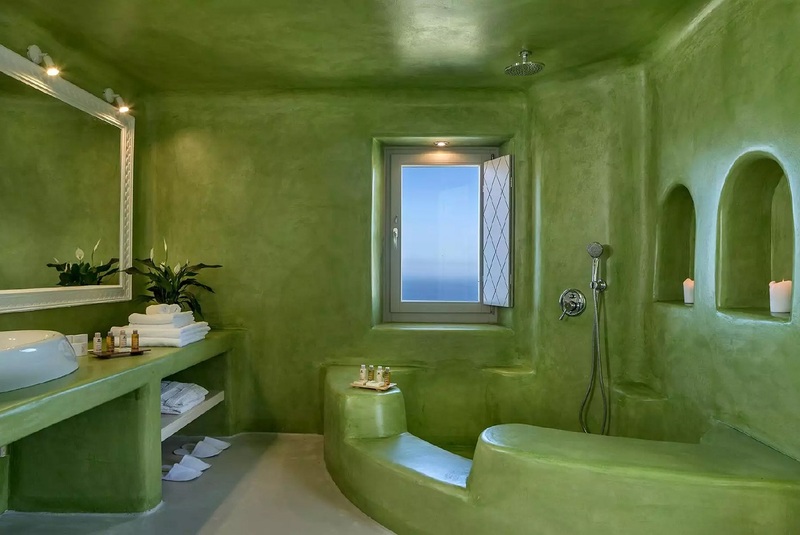 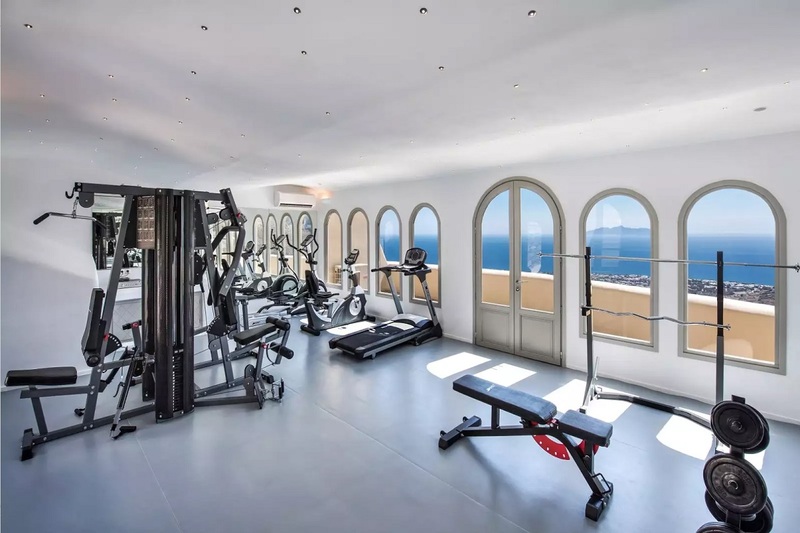 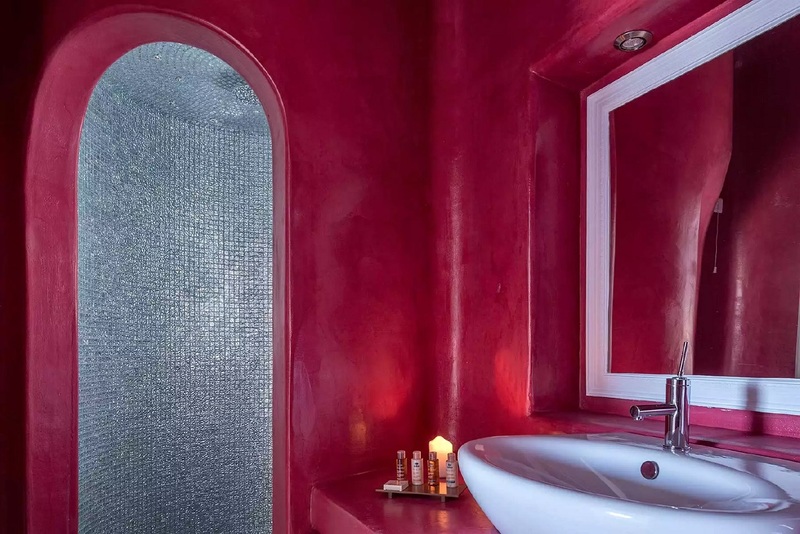 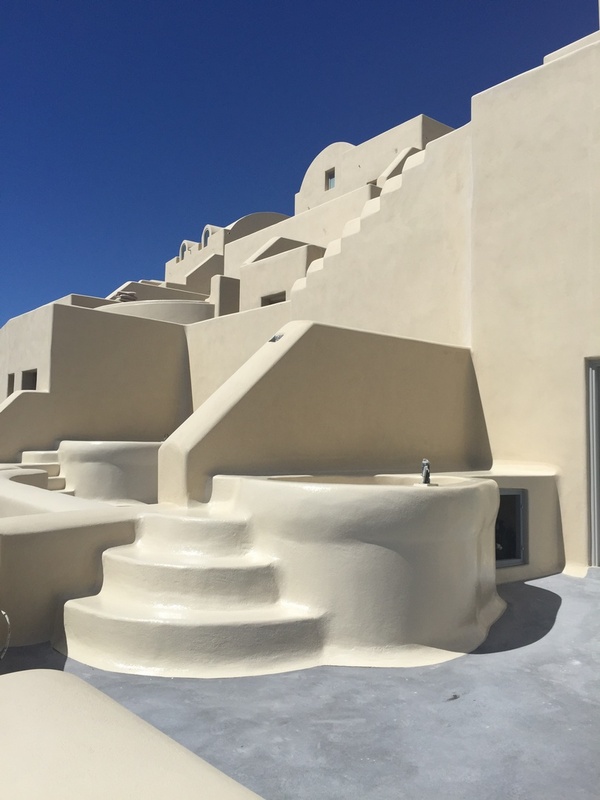 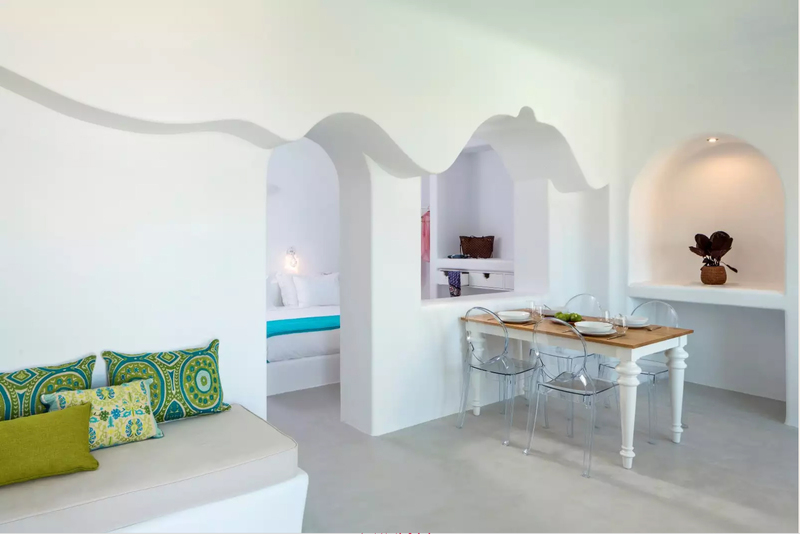 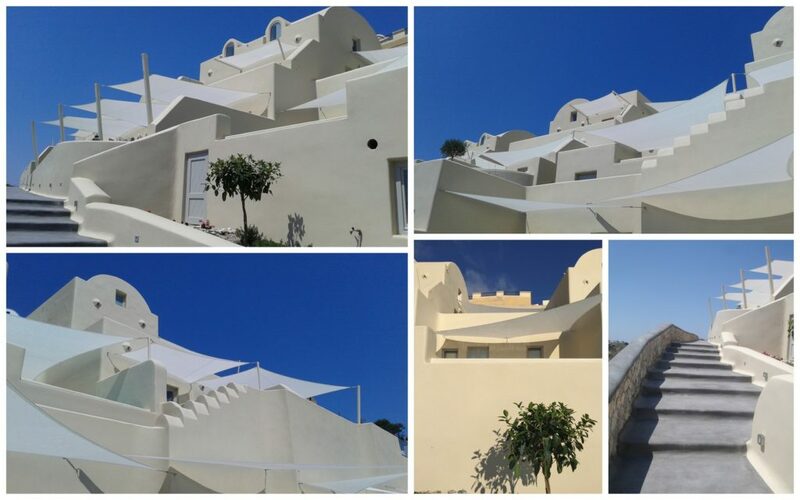 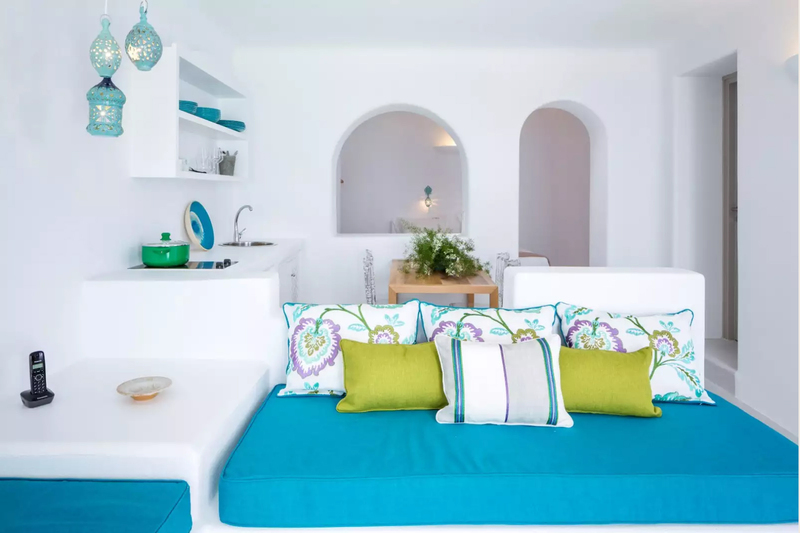 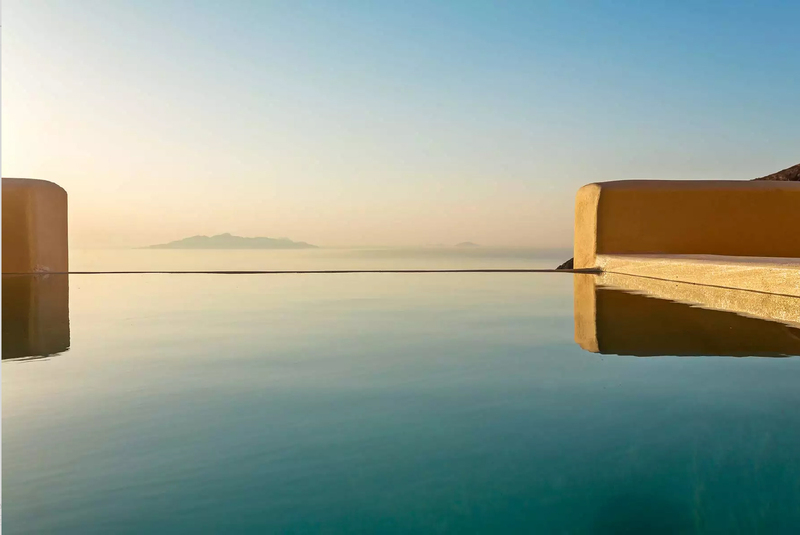 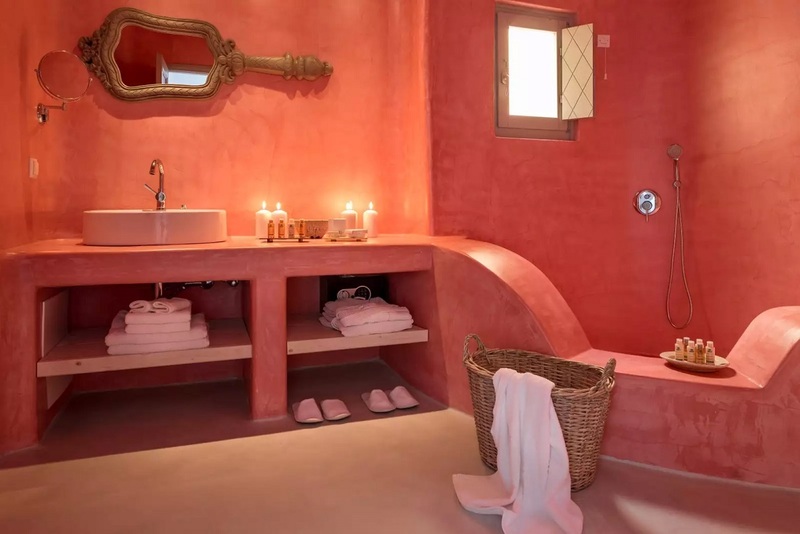 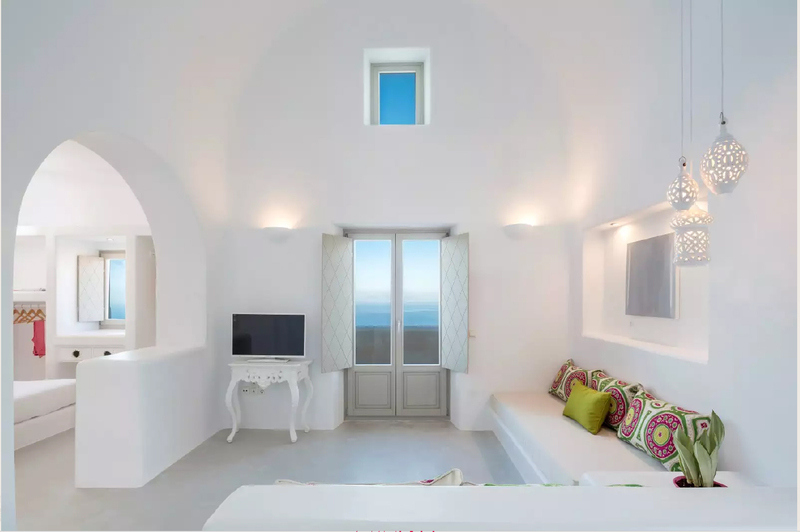 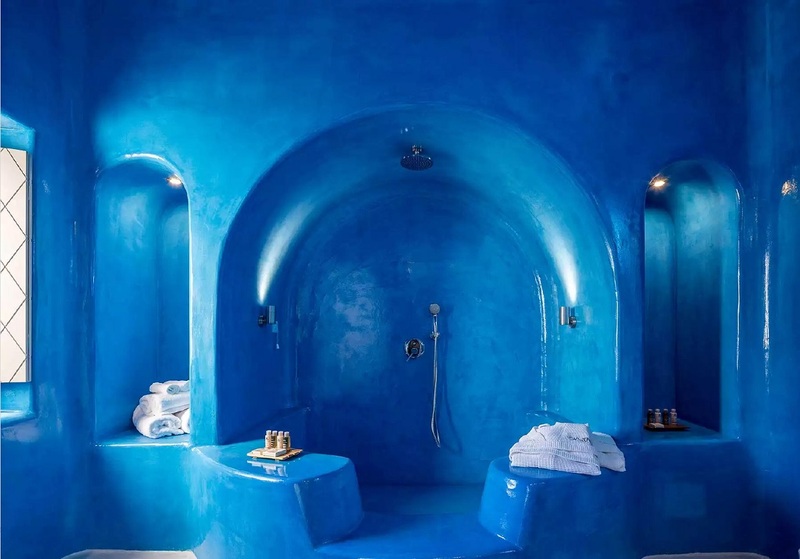 Located in the heart of Pyrgos, below the medieval Castle, Skyfall consists of seventeen private suites with outdoor private swimming pools or jacuzzis where guests can enjoy undisturbed views and the mystical energy of Santorini. 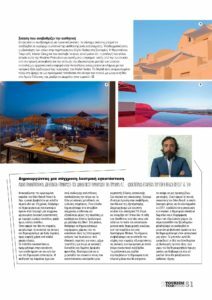 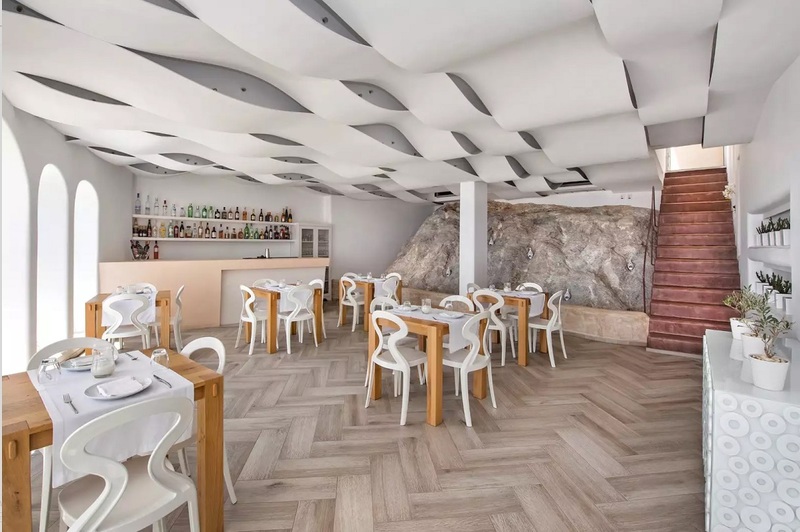 The design concept and the decoration style, both indoors and outdoor, is a mix of genres and trends, a combination of materials, a journey through space and time. 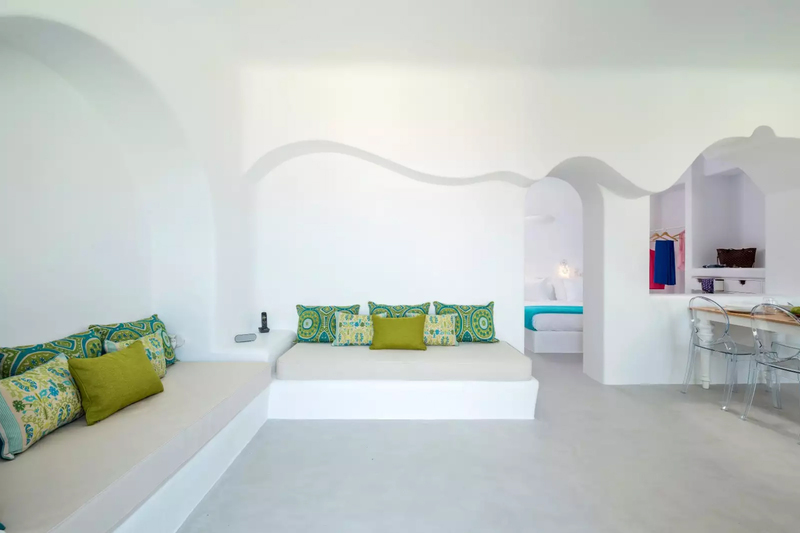 Strong and disparate elements talk to each other in The Skyfall Suites underline the designer’s signature. 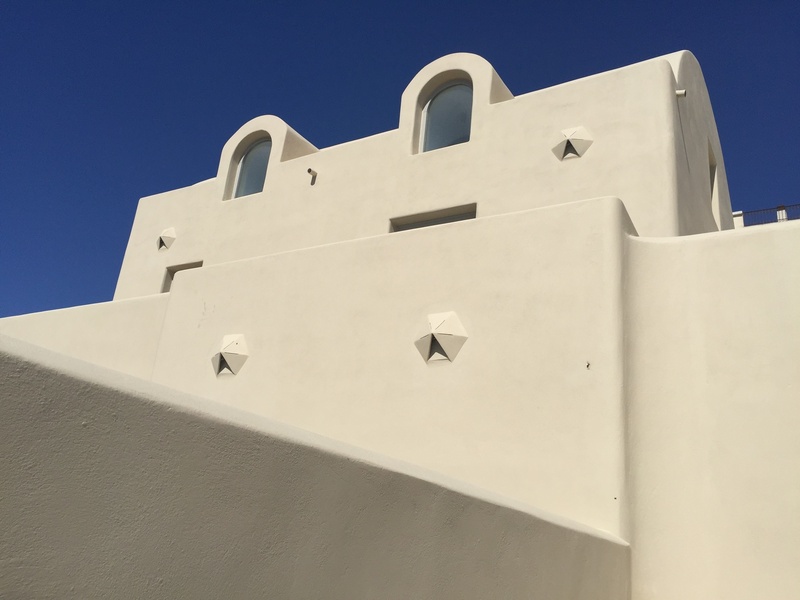 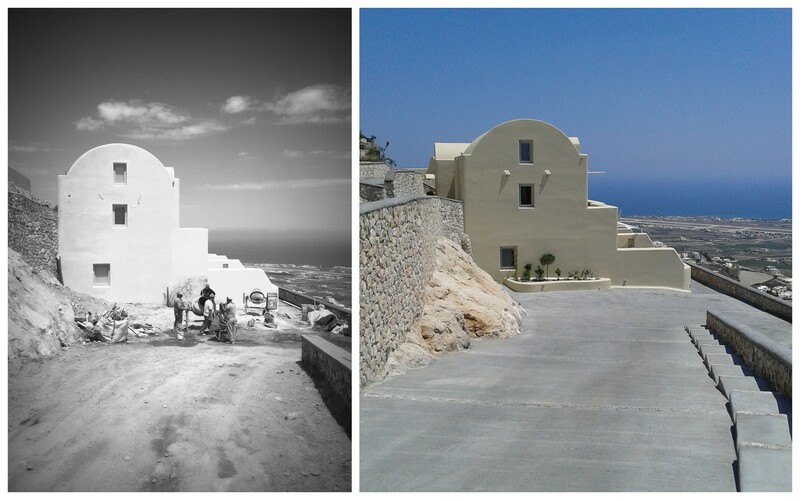 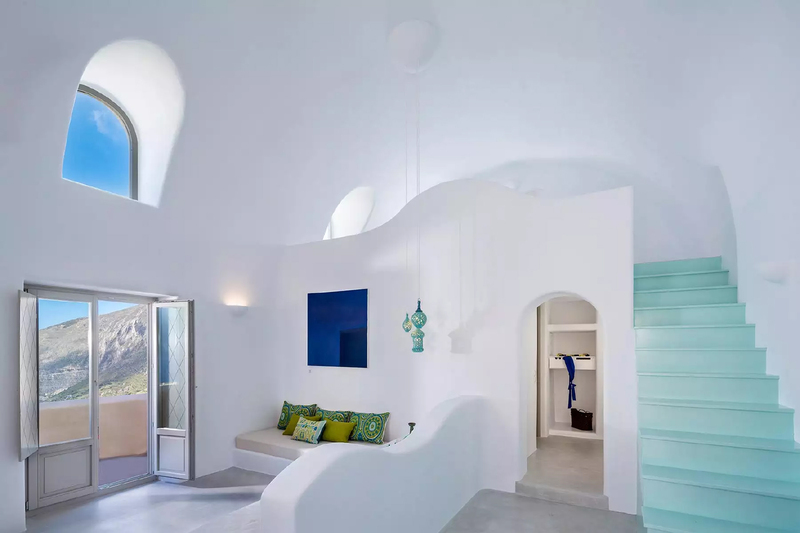 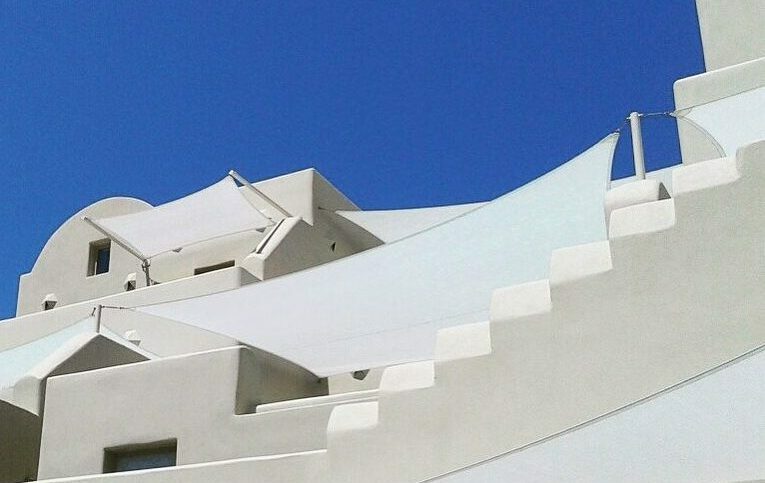 The traditional architecture combined with the principles of modern design, the graceful architecture of Cyclades completed with notes of the Arabia and East architecture, create multidimensional spaces with distinct personality. 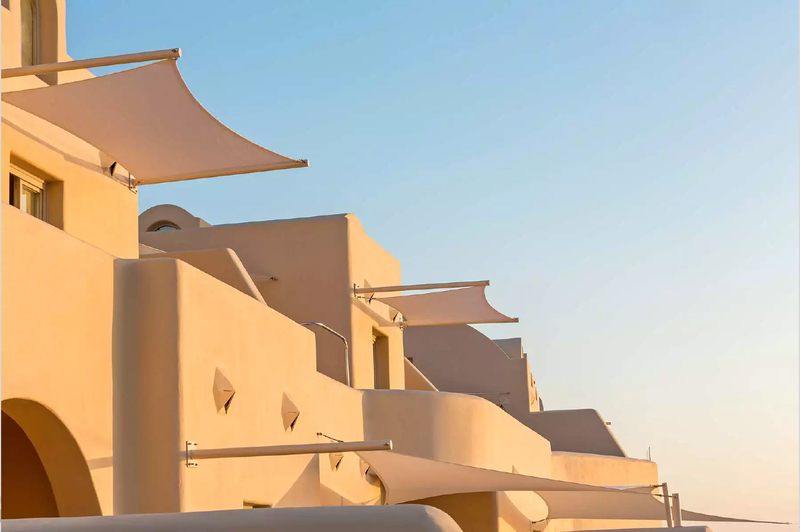 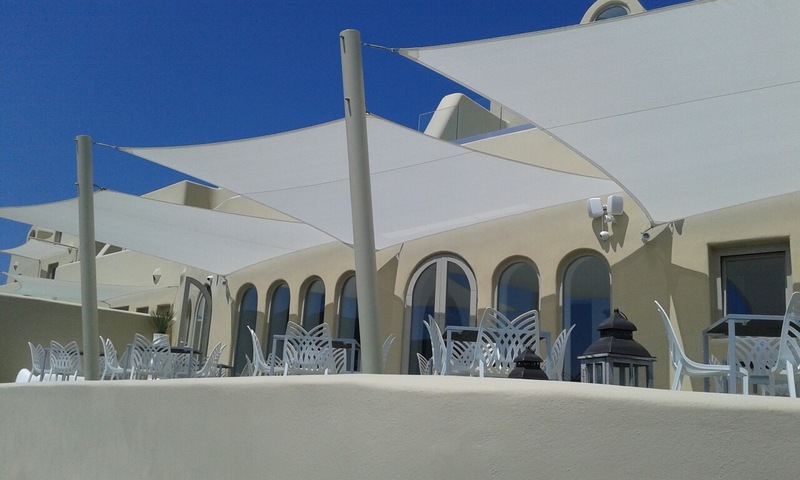 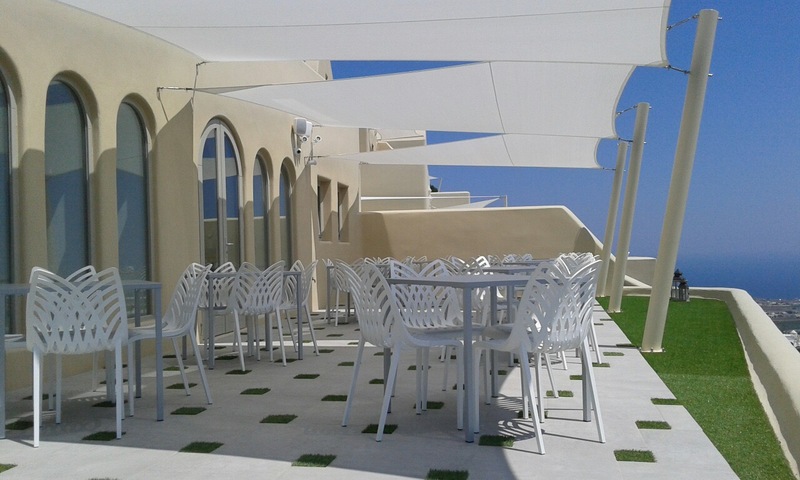 Great attention has been given to the landscape with the use of sails as a shading system and the creation of a private pool or Jacuzzi in every suite. 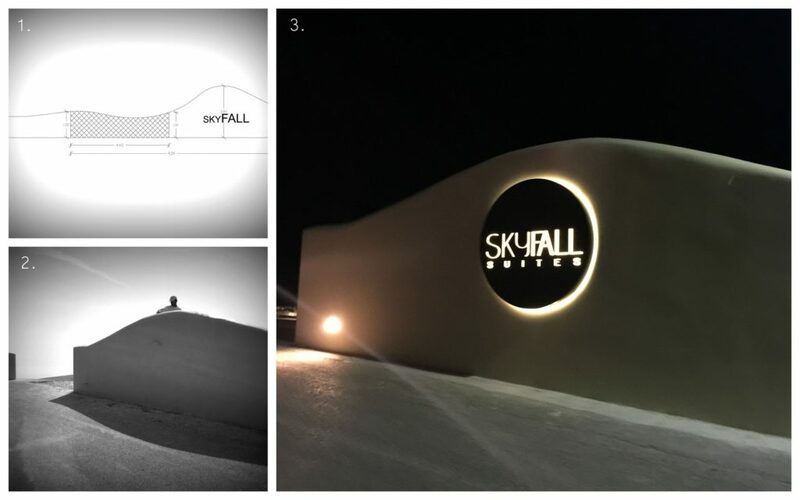 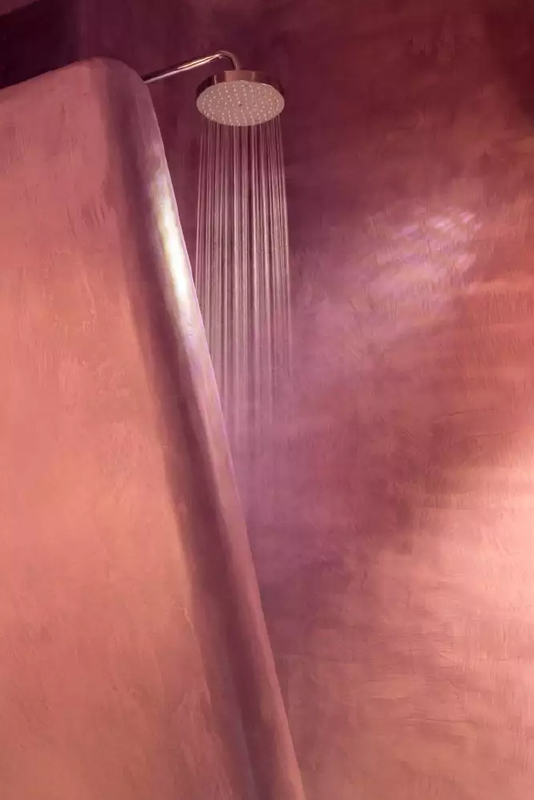 Besides being a protection system from the sun and preserving privacy, the choice of the sails is also a reference to the East part of the world, and it indeed fully represents the central idea of ‘swinging’ of the Skyfall Suites. 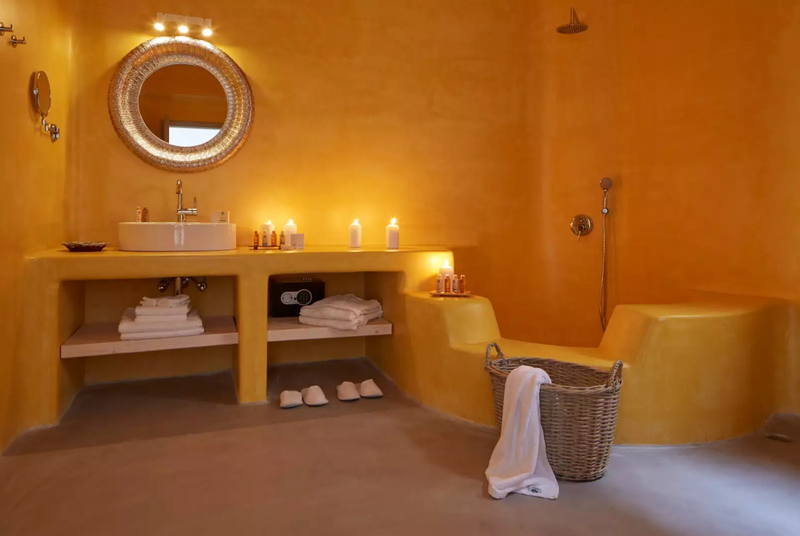 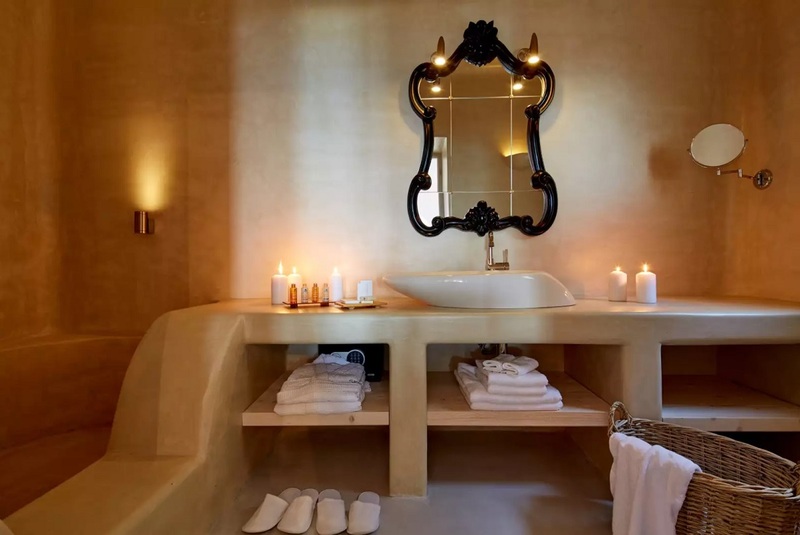 The creation of a pool or Jacuzzi in every suite contributes to improve the quality of the final aesthetic result: the eye contact with the water, central element of life, creates a sense of intimacy and comfort achieving relax and tranquility.